Last week’s arrival of The Qing Ming Festival—a 2,500 year old Chinese holiday when celebrants honor their ancestors by sweeping their gravesites—also brought a big boost in movie going. The holiday ranks as one of China’s top five or six movie revenue periods of the year, along with such holidays as western New Year, Chinese New Year, Valentines Day and National Day. This past week’s national ticket sales totalled $73 million, good enough for the fourth biggest week of the year and an 88 percent increase over the same period in 2012. Leading the box office once again was the sleeper rom-com hit Finding Mr. Right, which was down a mere 12 percent from last week, and which has only just started to show signs of slowing. I grossly underestimated this picture’s potential at $40 million; it’s now a sure thing to go over $75 million. Also holding up well was the WWII action comedy The Chef, the Actor, the Scoundrel, which tallied $18.4 million to extend its total to nearly $31 million. New openers didn’t fare quite as well. 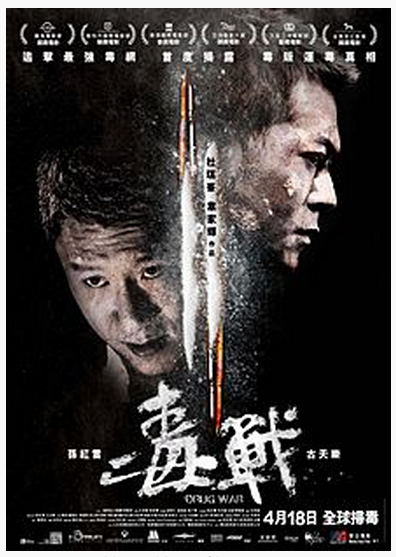 Action/thriller Drug War scored a $12.9 million total in its first six days of release, a bit of a bust relative to expectations but still director Johnnie To’s best debut to date. And the Ronny Yu-directed costume action/war drama Saving General Yang fizzled at just $5 million, perhaps putting the final nail in the coffin of that moribund genre. The Qing Ming week capped off a surprisingly potent 8-week period during which China’s theatrical film business nearly doubled the revenues of the same period last year. The 95 percent boost over 2012 was driven mainly by such local language comedy hits as Journey to the West and The Chef the Actor the Scoundrel, and romances Finding Mr. Right and Say Yes. These four films have collectively grossed over $320 million, accounting for more than a third of China’s total box office in 2013. Hollywood films also contributed, but not at anywhere near the level they did last year. The four biggest non-Chinese films of the past eight weeks were The Hobbit, A Good Day to Die Hard, Resident Evil and Jack Reacher, which collectively pumped $114 million into China’s exhibition coffers. The 8-week run of hugely favorable year-on-year comparisons will come to an end this week because last April’s enormous $74 million opening of Titanic will be impossible to beat. I won’t hazard a guess as to how Django Unchained (opening Thursday) and two new Chinese romance pics will do this week, but it’s a safe bet that they won’t pose any threat to Titanic’s record. Look for comps that will be significantly down from last year’s numbers for at least this week and probably next week as well, unless G.I. Joe 2 catches fire. I’m hard pressed to say whether Hollywood’s relative malaise in China this year is specific to the films that have been imported or is reflective of a larger shift in the market. It’s been suggested to me that market manipulation or fraud are major factors in Hollywood’s rapid decline in China, but I’ve only seen sparse and rather anecdotal evidence of this (I’ll publish an article on this topic in the next few days). Hollywood hasn’t done very well this year in Japan, Korea, and other parts of Asia either, and Chinese manipulation can hardly be blamed in those territories. I’m inclined to credit the rapid rise of Chinese films (at the expense of Hollywood’s movies) to improving stories, good production values, and growing awareness among China’s movie goers that at least some local films are worth the price of admission. This entry was posted in Analysis, Box Office Reports and tagged A Good Day to Die Hard, Drug War, Finding Mr. Right, Jack Reacher, Johnnie To, Journey to the West, Qing MIng Festival, Resident Evil, Rob Cain, Robert Cain, Ronny Yu, Saving General Yang, Say Yes, the Actor, The Chef, The Hobbit, the Scoundrel, Titanic by chinafilmbiz. Bookmark the permalink. Interesting to read your point of view about the rise of Chinese movies. It seems that it’s not only a Chinese or Asian phenomenon but a European too, as national market shares have improved even if far from what we can see in China and Japan (national movies market share bounced over 50% since 2006 in this country). Time will tell.